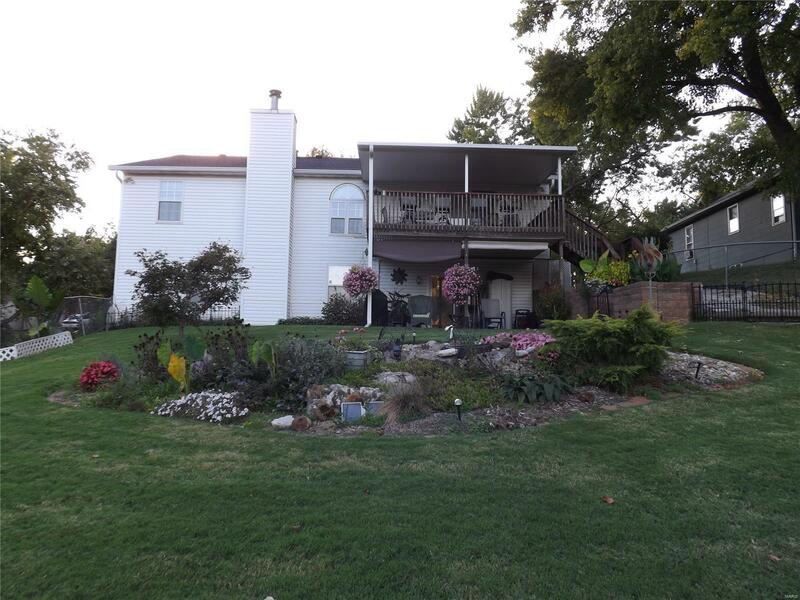 This home is a well maintained ranch style home with walkout basement into a large backyard. It offers three bedrooms with three full baths. Recently updated with new laminated flooring in living room and hallways. New carpeting and paint in lower level. Kitchen has new solid surface countertops and under mount sink, newer vinyl sliding patio doors with blinds between the glass that leads to a large deck with insulated awning that can be turned into a seasonal room. New roof 2010 with 6" gutters with gutter guards installed. Newer furnace in 2017 and new water heater in 2018. Insulated covered porch off of kitchen overlooks large back yard with Koi garden pond. Finished family room in lower level with gas fireplace to entertain the family. Large back yard has a newer 10x16 deluxe tuff shed. Located near schools and shopping. Sellers are motivated.